Recently the Washington Post Magazine featured George Mason University’s Department of Communication in a cover story about our role in teaching fake news detection to college students. Since that article, I’ve heard from an overwhelming number of educators who want to know how to teach their students media literacy techniques. At an early-summer Teachapalooza at The Poynter Institute, I led a workshop where journalism educators from all over the country gathered to share ideas that work to help spot fake news. This gave me hope that this next-generation of journalists will be more media literate. 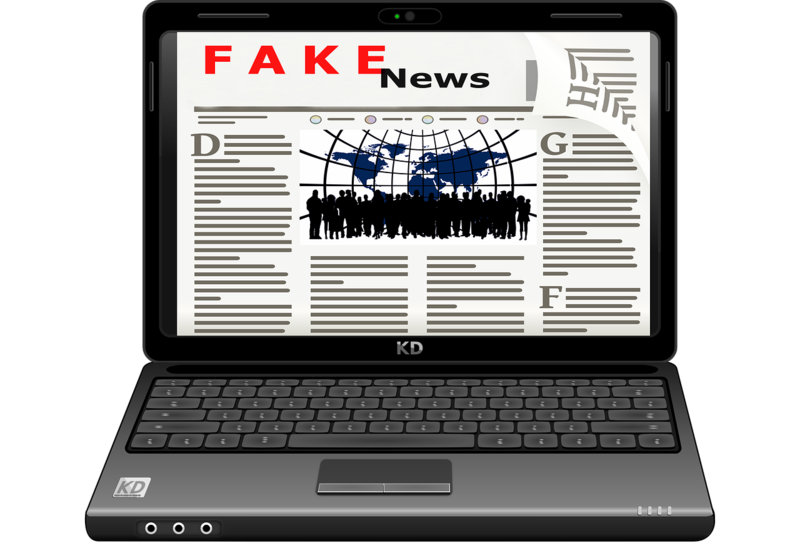 In honor of International Literacy Day on September 8, I’ve collected several concrete tools media educators –and the public — can use to detect fake news. Here’s the latest to keep you current on the buzzword (I dare say) we’re all tired of hearing. Most journalists and educators know fake news is nothing new, dating back 1439. Really? 1439? Yes, really. Check out this solid piece in Politico — better yet, have your students read and discuss the history and content. We have to teach our students these cognitive skills, but they can usually catch a fake story quickly once they learn to detect on their own. Identify the common fake news sources and reduce promotion of misinformation. I prefer teaching students cognitive skills to think through content, analyze and make a decision as to what constitutes a fake story. But there are other tools being created every day to combat this issue, like the Media Bias/Fact Check extension for Google Chrome. Another is actually called BS Detector – love the name. Search fake news detection in any app store and options will pop up from Fake News Check and Source Inspector to Fake News Blocker. While resourceful, I choose to empower students with cognitive thinking opportunities to determine what’s real and what’s fake. To help, one of my Mason colleagues, Harry Foxwell, an associate professor in Mason’s Volgenau School of Engineering, researches credible data sources for analytics. Foxwell recommends the fine art of baloney detection, via Carl Sagan’s Baloney Detection Kit. According to Foxwell, fake news is dangerous, but so are claims backed by fake data, or no data. He advocates critical thinking be part of many courses including science, history and statistics, not only journalism. I agree. All educators can use these tools, not only journalism educators. Don’t believe a word of anything you read until you check facts and check sources. Are the sources and facts credible? Why or why not? Do a quick search engine scan to see who else has covered the story. Do you see two sides (or more) to the article? Are you being spun? Do you feel manipulated? Are other credible news outlets covering the story? Is this story a potential fake news story? Yes, we have to teach our students these cognitive skills, but they can usually catch a fake story quickly once they learn to detect on their own. Now, taking this work a step further, what happens in the classroom extends into the working world. One of my Mason colleagues is researching moving media literacy outside the classroom. Assistant Professor Emily Vraga, in her research with Melissa Tully, an assistant professor in the School of Journalism and Mass Communication at the University of Iowa, has found that while people often understand they have personal biases that color their interpretation of news, they do not recognize them when faced with evaluating news content. “Short news media literacy messages placed before people consume news can reduce biased processing of balanced news content,” Vraga says. The research teams suspects these messages work by building on the media literacy knowledge and skills students develop in the classroom, reminding people to apply these lessons to their daily news habits. To keep the discussion going, join us on campus for #RealNews2017 with keynote speaker Chris Matthews (MSNBC’s Hardball). The George Mason University Department of Communication fall forum is on October 24th approximately from 9:30 a.m. – 1 p.m. in the HUB Ballroom on the Fairfax, Virginia campus. Great work, Beth. I love your “Critical Thinking Model”. Sadly, there are many who rush to believe all the headlines they read. We need common sense “pills” sent out to all of them. I wish there was a way to sniff these out, like a special “True News” task force. It is getting out of hand. The article and references are the “crayon” version of fake news. Need to expand definition to include “factually correct” statements with many advanced techniques to control and promote a biased narrative. This is the real issue, not “fact check”. This is a “crayon” view. Our society has moved on to “water colors” and trending to oil on canvas.